WHEN: Wednesday August 1st, 2018 at 6:30 p.m.
WHY: To meet with coaches to address items of common interest and concern from the 2018 season and to make suggestions for the upcoming 2019 season. The Annual General Meeting will immediately follow the Coaches Meeting. Everyone is welcome to attend the Annual General Meeting. Also, the elections for the 2019 Board will take place at this time. If you are interested in becoming a board member next year or would like more information, please speak to someone on the current board or call Rob, the League President, at 519-739-2896. 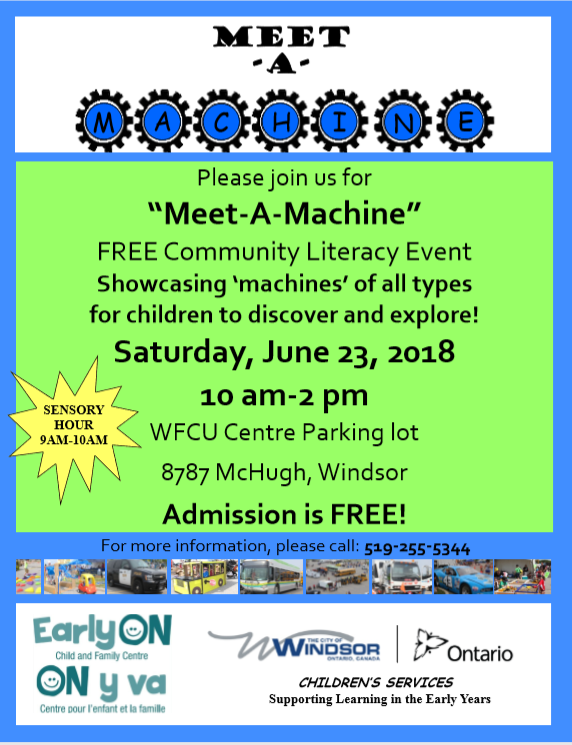 The Optimist Club of Forest Glade is once again taking part in the annual “Meet A Machine” day at the WFCU Arena. 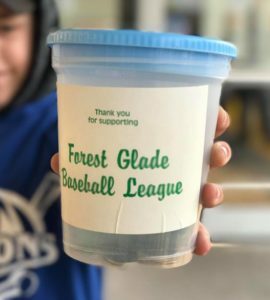 The club operates the concession and uses the funds raised to help run and sponsor many youth oriented programs in Forest Glade. Click on the image below to download a printable poster. 10:00 a.m. All Players meet your coach in the vacant parking lot on the South Side of Tecumseh Road (beside T-Bear’s Creamery) to line-up for the Parade. Parents, you may park your vehicles in the Super Bowl Parking Lot (behind the Tim Horton’s). – Players should wear their uniform. Volunteer Service Hours Available as well!!! Click here to download a printable poster. EVERY PLAYER MUST HAVE AN ENVELOPE COMPLETE, even if not ordering extra items. Please remember to complete information on your photo envelope even if you are not ordering extra photo items. All players will receive a Sport Mate, which includes an individual photo with team photo (at no additional charge). All coaches will receive a team photo. PLEASE NOTE: If a player is absent for their team photo on their scheduled day, they may have their individual photo taken in between team photos on another day. It is the player’s responsibility to ensure they have their photo taken if absent from their team photo. If you have any questions, please feel free to call: Beth at # 519-300-3223 or Jodi at #226-975-0066. Click here to download a printable copy of the schedule. Thank you and Go Falcons!!! We ask you to bring your rakes, gloves will be provided. All New & Used Stock Of White/Grey Pants Will Be Available. See this page for more details. Click here to download a poster to view or print. Playing baseball does not necessarily give you the skills to teach the basics. This clinic will teach you proper techniques to ensure consistency in how the players are taught. As we approach the 2018 All Star Select Season our Girls All Star Select teams are starting to be chosen across our various divisions. In accordance with our new uniform policy, players will be required to purchase black youth / women’s fastpitch pants to be used for all All Star Select games and tournaments. 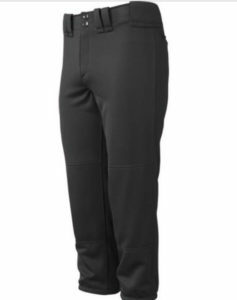 We will be holding a sale of the new and used black fastpitch pants that we currently have in our stock on Wednesday May 2, 2018. Please watch our Facebook and Website for further details as they become available. Various sizes are available in youth and women’s sizes, and will be sold as first come, first served until pants are sold out. 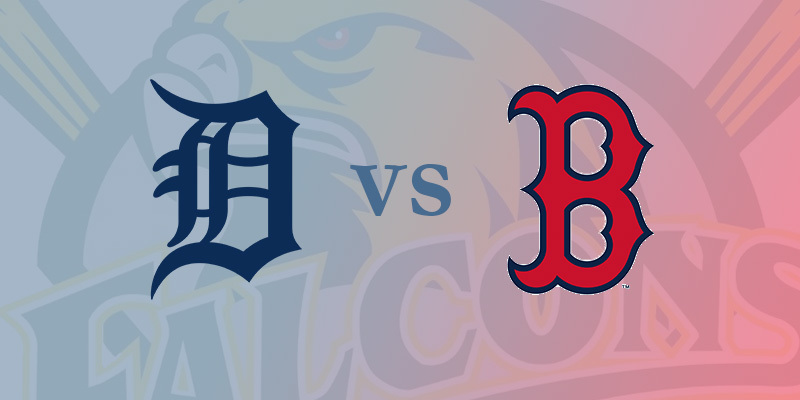 Copyright © 2019 Forest Glade Baseball. Powered by WordPress. Theme: Accelerate by ThemeGrill.